About the seminar: Globally we are being confronted with new encounters between visual art and information practices. In urgent and tense situations like the Arab Spring the moving images become important means of communication, especially because of their manipulative nature. During the Arab Spring we have seen examples of political activists, as well as independent artists and even common people using video. Video is often used as proof material on what has happened, activating immediately a questions about who owns the truth. In the case of the Arab Spring, we have experienced empowerment of citizen journalism and production of truth, being moved from the state controlled authority to the people. The image is more then a medium and acts as the necessary passage from revolt to critical perspectives. 13-14.00 Truls Lie, documentary filmmaker, editor-in-chief of DOX European Documentary Magazine and a film critic at Le Monde Diplomatique, Scandinavian edition. Truls is currently working on two Middle East films with FILM Movement – an essay film production gathering. Truls will talk about the field between art and documentary – comparative ideas about the essay form. 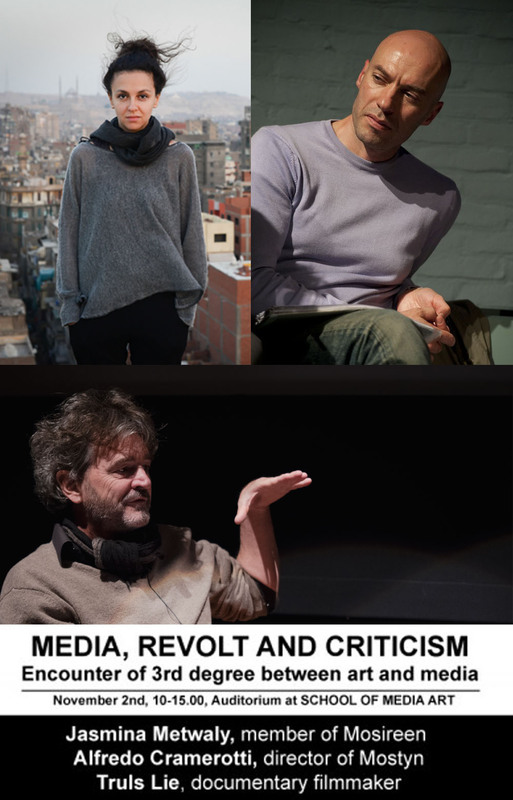 14-15.00 Final discussion led by the hosts: Carsten Juhl, Head of Department for Art and Theory and Tijana Mišković, Academic Research Project Coordinator. This seminar is the 2nd part of Arab Spring art seminar at The Royal Danish Academy of Fine Arts, that started in October 2011. The next seminar will take place December 14, 2012 including presentations by: Seamus Kealy, museum director at The Model, Aida Eltorie from Finding Projects Association and visual artist Rabih Mroue.